A rim sherd from an wheel-thrown Oxfordshire Ware Roman vessel, probably a storage jug or jar. The fabric is a pink colour externally with a grey core and occasional fine to small iron ore inclusions. No outer slip or paint survives. 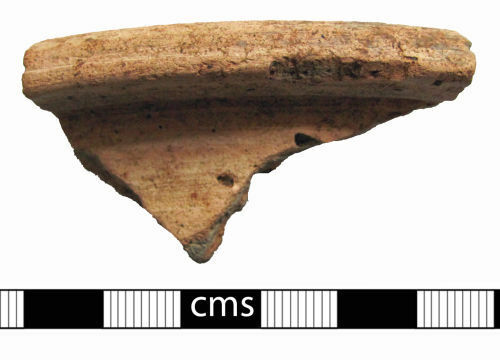 The Oxfordshire potteries were functioning from c. AD 240-400.